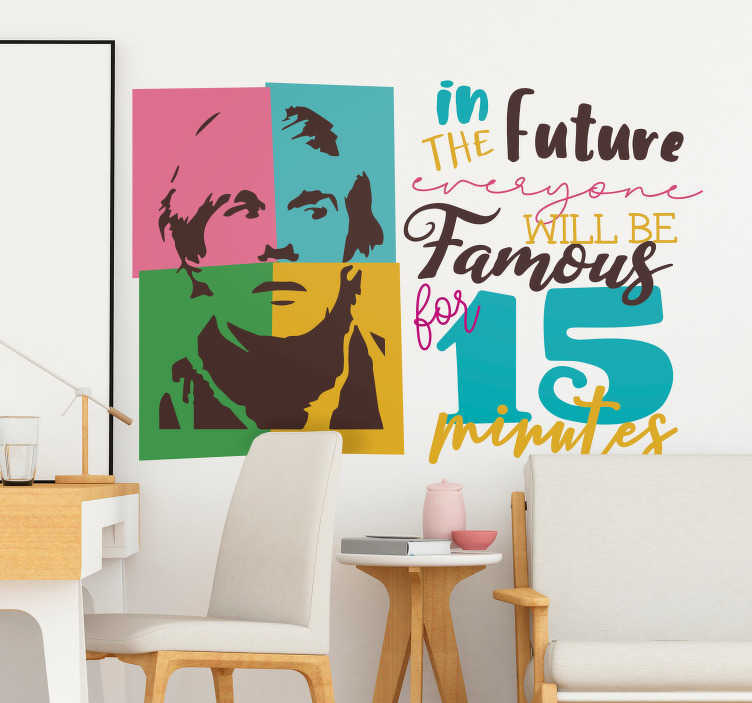 ´In the future everyone will be famous for 15 minutes´. When was your 15 minutes of fame? Have they happened yet? Or are you still waiting? Well, whatever your situation is, this pop art wall sticker is absolutely ideal for adding some amazing colourful wall decor to your home!